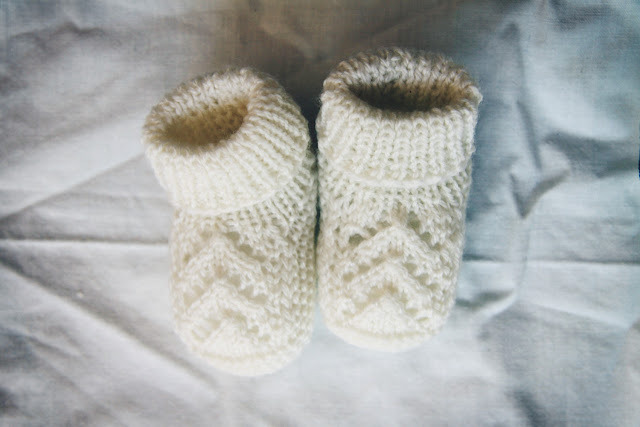 These little booties were given to Toby and I by my mother when we found out I was six weeks pregnant. That's right: pregnant! I'm now nearly fourteen weeks and our baby is due on the 20th of September. This incredibly happy event has raised hundreds of questions, very few we have answers to. Such as: will the baby be born in NZ or Holland? It's opening up a whole new world that we are just beginning to learn about. In the meantime, here's a few answers we do have: Yes, I am well and yes, we are very, very happy but no, we do not know if it's a boy or a girl. It's been so fun sharing this news with our friends and family, it's lovely to be able to finally share it on my blog as well. Yeah!!! Sonya is having a baby! Cute booties!